in extra profit among Gameflip CLUB members - and counting! Gameflip CLUB is the best way for you to sell more, enhance your earnings and get personal service. Gameflip CLUB is what every Top Seller needs. If you frequently sell on Gameflip, have good ratings and need closer attention from Gameflip Support, then you must definitely become a member. But what membership should you get? Get instant access to 0% commission fee and 0% digital fee on all your sales, up to $50. After the 30-day trial period, you will be automatically upgraded to the paid plan for only $1 USD, every 30 days. Start your FREE trial today! This is our top pick! Get 6% commission fee and 0% digital fee on all your sales, up to $500. On top of that, enjoy Exclusive Promotions and VIP Support (for faster answers). Enhance your earnings, sell more and become a pro seller! For digital shops with high sales volume, this is the ultimate profit booster! 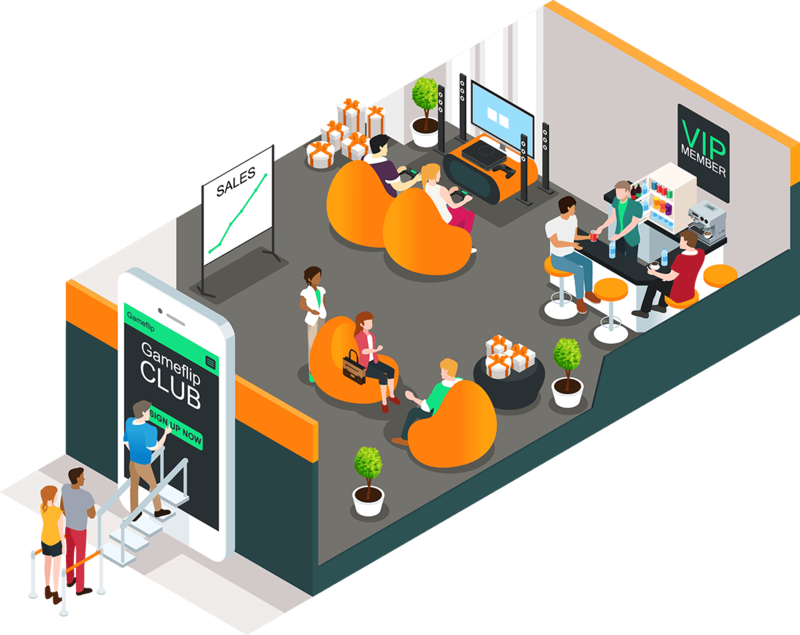 With a $5,000 cap, Gameflip’s Ultra CLUB will increase your profits in large scale. Get 8% commission fees and 0% digital fees on all your sales with this membership plan. Achieve your ultimate potential! Specially made for sellers using bot trades. This membership offers you a reduced commission fees of 4% and 0% digital fees on all your bot sales, up to $5,000. Sign Up for any membership today for a chance to win FLP, the new way to buy & sell your items on Gameflip. Learn more. We will select 50 winners to be awarded 1,000 Bonus FLP each.